Overall Greatsubmitted by Madisyn S. - Feb 27, 2019 |Recommended: YesThese should be great for the price. They truly are. My favorite thing is the gated apartment buildings. Makes it feel more safe. Great property and managementsubmitted by Abigail O.  - Dec 30, 2018 |Recommended: YesEven without an elevator, I enjoy top floor living at Hawthorne. I hear hardly anything beyond people coming up and down the steps which is no biggie. The manager is great, always helpful Any issues I've had were minor and attended to immediately. I feel safe and comfortable here. The apartment is spacious with lots of closet space. The balcony is big enough to enjoy with company on a nice day. I love the galley kitchen layout. Plenty of cabinets and counter space. The bathroom is spacious with ample storage. Best Apartmentsubmitted by Madelyn - Dec 15, 2018 |Recommended: YesThis is by far the best complex I have ever lived in I do not even know where to begin on explaining how much I have loved living here Carl and and every other staff member I have met have been incredible The apartments are clean, new, and simply beautiful. Carl goes out of his way to ensure that the residents are happy and taken care of Maintenance is quick at responding, helpful, and kind. I could go on and on about how much I have loved it here It’s safe, secure, quiet, clean, and feels like home. Carlsubmitted by Hunter B. - Aug 30, 2018 |Recommended: YesCarl makes this property great. Kind and knowledgeable, he makes sure the process is smooth and time friendly. Would recommend this property highway does cause a lot of noise. Very nicesubmitted by Rose S. - Aug 30, 2018 |Recommended: YesThere was an animal smell in the carpet from previous tenant. A bit of pet smell powder and vacuum resolved the issue. That is my only complaint. Staff was wonderful and responsive. Maintenance came out ON A HOLIDAY to fix a clogged drain poor guy . Beautiful and comfortable place. Perfect location - very close to highways 60 and 65 as well as restaurants and shopping. Hawthorn Suitessubmitted by Chad C. - Aug 27, 2018 |Recommended: YesQuiet and calm community. I would recommend this property to anyone looking to rent. Apartments are updated, internet is fast, property manager is top notch and I mean it. Just renewed for another year. You will not regret living here. Plenty of parking, maintenance is responsive and resolves problems quickly. Carl has to be the best property manager in the TLC system. Clean. Safe. Professional Service.submitted by Brett N. - Jul 27, 2018 |Recommended: YesQuiet, clean place next door to the YMCA. It's very nice, far superior to your average apartment complex. Outstanding Welcome homesubmitted by Amanda C. - Jul 06, 2018 |Recommended: YesOh. Migawd. From day 1 this complex has been my home and sanctuary. Carl is tall, handsome, knowledgeable, funny, and very fair. Every interaction with him has been a pleasant one and I look forward to seeing him on the property. He answers every question and concern promptly and with a smile, is genuinely happy to help, and his professionalism is limitless. The community is located on the corner of two major highways, ten minutes from downtown and thirty minutes from Branson. The grounds are gorgeous, well-maintained, and very pet-friendly. There are multiple stations located conveniently across the grounds offering pet waste disposal baggies and repositories. The grounds are well-lit and there is 24-hour on-site security. My building is gated with a personal key code entry. I'm able to use video monitoring to see my guests before granting access to the building, which I can do from the comfort of my apartment. I rented a studio apartment on the fourth floor, and as far as studios go, it's very spacious. Carl chose all the colors and did a wonderful job making it feel a good neutral rustic, not washed out and not too dark. The vaulted ceilings add breathtaking airspace, and I have ample storage. The bathroom is larger than I anticipated, and all the appliances are black and brand new. I love living here every time I walk into my apartment I never want to leave. Every time I turn in to the drive, a sense of calm washes over me. Every time I see Carl or the maintenance crew around, we smile and wave at each other. It really is home. Free YMCA membership a stone's throw from the complex...do I need to say more There's also a pool on the complex which includes patio chairs and multiple hammocks. It's a great place to lounge, enjoy time with friends, and sunbathe while you're using the laundry facilities. Everyone that I've met in the community is friendly and personable. I can't say enough about the community or facilities this place is Springfield's oasis. Great Location, Friendly Staffsubmitted by Audrey J. - May 03, 2018 |Recommended: YesWe've lived here for 5 years - great location, convenient. Maintenance staff is always speedy and friendly. Office is often staffed by various people which can be frustrating, but Carl is always willing to help and goes above and beyond. Neighbors can be a bit noisy, but for the most part it's a quiet place. Loved our balcony view.